There are far too many victims of Hurricane Florence that are looking to replace their homes. The destruction was so vast that traditional home builders and local contractors will be strapped from too little labor, too little time, and too much demand. The good news is that modular home manufacturing companies are more able to accommodate your replacement home needs in a timely manner. Modular homes for hurricane Florence victims has become the norm in other locations across the nation that have been hit by hurricanes and devastating storms. There are many benefits to choosing modular construction. Basically, with modular construction, you are outsourcing the labor, materials and construction process, which allows you to get your new, custom designed modular home, faster than many of those people around you who may contract their home with local builders. Modular homes are built to the same or higher standards than traditional homes, but in hurricane prone areas, modular homes are built even better. 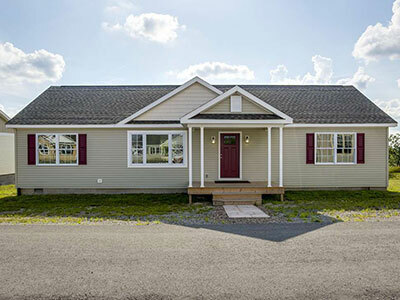 Built to withstand up to 140 mph winds and with reinforced joints, modular homes are sturdy and safe and more secure than traditional construction. Modular homes can also be placed on pilings that are encased in cement and meet all new hurricane specifications. And, because modular homes can be custom designed, they can also be built to the original footprint in order to align with local zoning laws. If you are a hurricane Florence victim who is in need of a replacement home, Contact Silverpoint Homes. Wait. What is a Modular Home? A modular home is a house that is built of pre-fabricated sections referred to as modules. They are constructed away from a build site, transported to the site and fitted together. This type of prefabricated housing has become increasingly popular with newer technologies and a housing market that is seemingly constantly low in supply. New technologies have allowed these builds to become practically fully customizable and they generally can be built in less time than typical stick-built houses. It is important to note; modular homes are not the same as manufactured homes or trailers. Modular homes are built to the same codes as site-built homes, and in most cases actually undergo a much more vigorous inspection process. Got It. So, why build a Modular Home? Ok, ok, but you sell them. Back it up. This article just scrapes the surface of modular construction and our work at Silverpoint Homes. If you want more information please visit our website at www.silverpointhomes.com. Or even better come visit one of our Model Home & Design Centers. “Improving Construction Efficiency & Productivity with Modular Construction.” Modular Building Institute. 2010.